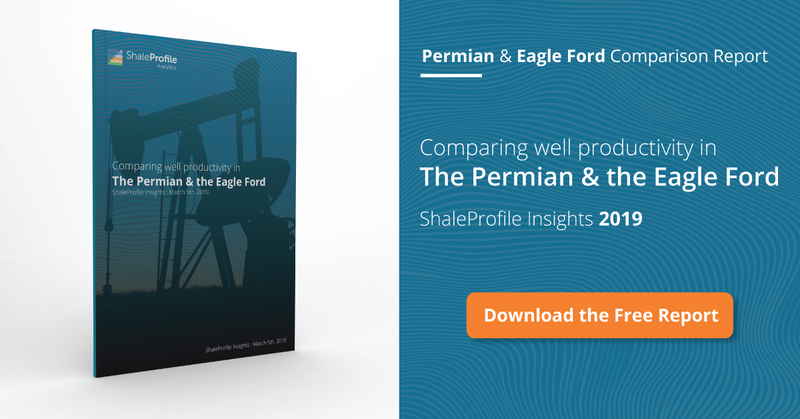 This interactive presentation contains the latest oil & gas production data from 19667 horizontal wells in the Eagle Ford region (TRRC districts 1-4), that started producing since 2010, through September 2017. As I did last week for the Permian, I also decided to post the latest data through September again for the Eagle Ford. More recent data is too incomplete (which may be related to the higher activity levels) to give a good overall picture. The above graphs shows that in September the Eagle Ford was recovering from the impact from Harvey. In the “Well quality” overview the production profiles for all these wells are available. The top graph shows that newer wells peak above 500 bo/d on average, during their first full calendar month (=month 2). If you only select ‘EOG’ in this overview, using the ‘Operator’ selection on the right side, you will see that its wells peak at almost double this rate, although the ensuing decline is steeper as well. In this “Ultimate Recovery” overview the relationship between production rates, and cumulative production is revealed. As you can see, the curves behave rather predictable in general. They slope concave downwards, which indicates that these wells decline on average with a hyperbolic b-factor smaller than 1, which is different from some of the basins (e.g. the Permian). Around the middle of next week I plan a new post on the Haynesville (LA), followed by a post on all 10 covered states.